It’s really beautifully made, superb quality and craftsmanship. I absolutely love my blanket! Nach 3 Wochen erhielt ich von Valentina diese wunderschöne Decke. Sie ist sehr gleichmäßg gestrickt und hat für mich eine extra Häkelborte. Der Postweg dauerte von Litauen nach Deutschland nur 2 Tage. RAVIE !!! Couverture arrivée plus tôt que prévue, bien emballée !!! La finesse des mailles est magnifique !!! Une œuvre d'art !!! Vivement cet été que notre petit 2ème puisse se lover dedans !!! 100% merino wool knitted baby blanket. Variuos colors ️ It's a perfect baby shower gift! 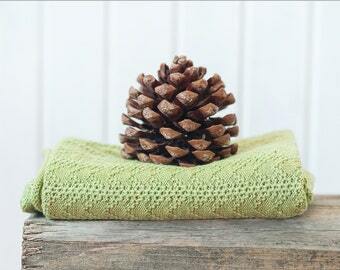 Welcome to LinenWoolen, a cosy shop for linen, wool and other natural fabrics! Here you can find knitted baby blankets perfect for snuggling up, as well as linen bedding for your little ones. We offer handmade linen, merino wool or alpaca baby blankets. Our products are made with natural fabrics and are hand knitted or knitted with a knitting machine. My name is Valentina and I am a mother of 3 children, a wife and a photographer. I live with my family in a beautiful location near Vilnius, Lithuania’s capital city. I value pure and natural fabrics. When my first baby boy was born I immersed myself in children and family photography, which is one of my favourite activities to this day. This year, however, I realised that I want to expand and instead of only capturing lives of children in photographs, I want to create beautiful and cosy products for everyday use that could enrich the environment for many families and children. Raising 3 children, I discovered that very few products marketed to children and infants are actually made from pure and natural materials. I found that it was a real gap in the market and this is what inspired me to make such products myself. I am very happy about being able to offer natural baby products to you. I have always valued pure wool and I have recently fallen in love with linen. These fabrics are cosy, offer unique warming or cooling qualities and they surround your baby with warmth and comfort. Today I offer throws, baby blankets and swaddles for your little ones, as well as baby bedding. I have many ideas to expand the offering of my small shop, so if you found something you love in my shop once, you are very welcome to come back soon and you might find some new products popping up. While you’re here, take a moment to look around. 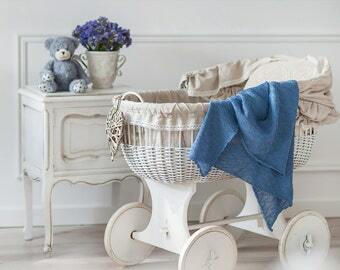 LinenWoolen offers great products for those who are raising children, as well as products that make perfect gifts for baby showers, christenings and other occasions. ◇ TIME. All pieces are created by hand. And the production time is about 1-3 weeks. If you need faster, please contact me. ◇ SIZE of items can be variuos. So do not hesitate to contact me about custom orders. ◇ COLORS OF ITEMS. Because of different monitors and screen resolutions, colors may look different on the screen than really! ◇ If you choose an item from other categories, I will have to make the item for you (this takes 1-3 weeks, depending on the season; if it takes any longer, I will let you know you via a message) and only then it will be ready for shipping. All baby blankets, beddings and other items can be packaged in a gift box, so you don’t have to worry about gift-wrapping the item. Just let me know when you are placing an order that the item will be a gift and whether it’s intended for a boy or a girl. ◇ I ship all orders with DHL Express. Why? It is much FASTER and more RELIABLE. Your order will be delivered to you in 2-7 days, depending on your location. You will also be able to track your order with the DHL parcel tracking service. ◇ If this method of shipping is too expensive for you, and you are willing to wait a little longer for the delivery, please let me know and I will ship the order via regular mail. You will also receive the tracking number, operated by Lithuanian postal service. However, I would like to warn you that this tracking number might not work in certain countries (you will be able to track the movement of your order within Lithuania, but once it is dispatched out of the country, you may not be able to track it).